The first thing and the most important thing you should do after creating your WordPress blog or a Blogger blog, is setting up RSS Feed. RSS is an abbreviation for “Rich Site Summary” but often called as “Really Simple Syndication”. In this article we are going to learn how you can set up RSS Feed For WordPress blog using Google’s Feedburner. Actually it’s very easy to burn your feed using Google’s Feedburner and along with this it also offers some of the great Email newsletter features like Free Email subscription, Email scheduled delivery, Email subject lines/title, and more. So first of all I’ll assume that you have installed your WordPress blog or created your Blogger blog and you have your website URL ready for the next steps. Feedburner is a must have for Bloggers to set up RSS feed and track the performance and guess what Feedburner is completely Free. For folks who actually don’t know this, I just want to tell you that Feedburner is owned by search engine giant called Google. You can also use Google Adsense for feeds to monetize feedburner feeds. Apart from all this, you can use Feedburner Email subscriptions service to send free Email newsletter to your subscribers and the number of subscribers you can add is unlimited. The first thing you should do with the highest priority after creating your new blog is to burn the RSS feed. From SEO point of view, it is a great idea to use Keyword or Brand name as your Feed name. This will make you stand out from other feeds certainly. One more thing you can do is add your brand logo to your feeds by visiting Email Branding under Email subscriptions and adding your logo URL in the specified field. In this article I’m not gonna talk about all the advantages of using Feed-burner, and start the actual process without wasting your time. Let’s learn How to Set Up RSS Feed For WordPress using Google’s Feedburner then, OK! So let’s get started with setting up Free RSS feed for your WordPress blog or Blogger blog and get rid of the default feed provided by your current blog platform. Start by opening Google’s Feedburner page and login with your existing Google account. On the very first page of Feedburner’s site you will see an input box for entering your default feed URL. So for WordPress you must enter an URL like http://www.yourdomain.com/feed and if you have a blogspot/blogger blog then you should enter something like this http://www.yourdomain.com/feed/posts/default inside the feed address input box shown below. 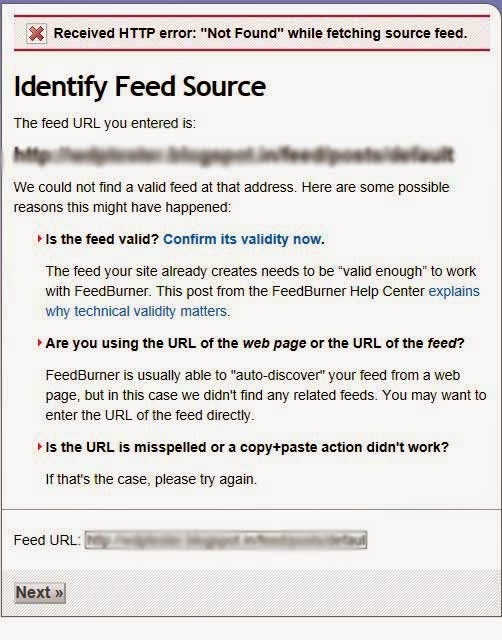 After you finish adding your feed link and clicking the next button, you will be asked for your feed title and feedburner.com address in the very next page, add your domain name as feed title and add a one word in feedburner.com address box like http://feeds.feedburner.com/webdesignerpad. If you see an error like below in picture, while trying to add feed please visit How did my feed become invalid? In the next page you will see a confirmation message like “Congrats! 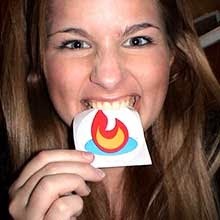 Your FeedBurner feed is now live” and voila that’s it. Congratulations! 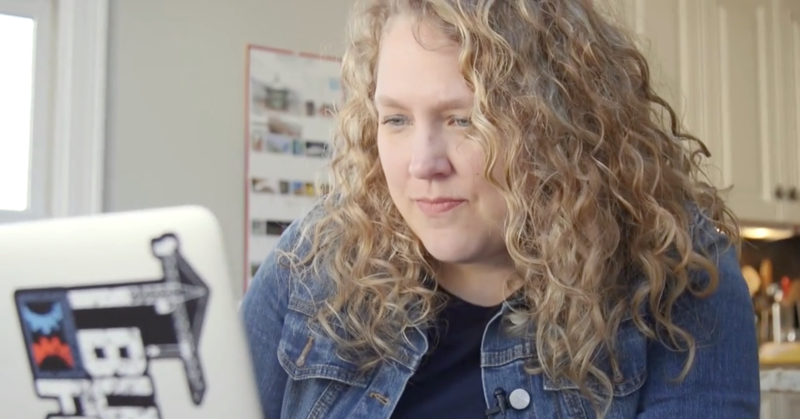 you just created RSS feed for your blog. Now what’s next, you can add WordPress plugin like Feedburner Email Subscription to your WordPress blog and redirect all default feeds to feedburner. Or if you are on the Blogger/BlogSpot platform you can add Follow by Email gadget where you want to appear subscription box on the blog. There are actually lots of other settings in order to optimize your feeds that I’ll cover in upcoming posts. So stay updated with Web Designer Pad by subscribing below. I hope you learnt How to Set Up RSS Feed For WordPress using Google’s Feedburner along with setting up your Blogspot/Blogger blog as well. If you have any problems please comment below and ask your questions.